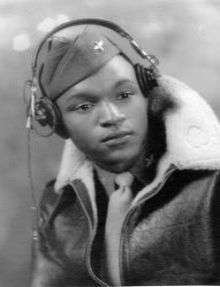 Lincoln Johnson Ragsdale, Sr. (July 27, 1926 – June 9, 1995) was an influential leader in the Phoenix-area African-American Civil Rights Movement. Known for his outspokenness, Ragsdale was instrumental in various reform efforts in the Valley, including voting rights and the desegregation of schools, neighborhoods, and public accommodations. Ragsdale participated in the creation of the Action Citizens Committee and ran for Phoenix City Council in 1963 along with the Committee's slate of other candidates. While ultimately narrowly unsuccessful, the campaign drew attention to the lack of minorities and South Phoenix residents in government and led to the registration of many new African-American and Latino voters. In 1964 Ragsdale successfully lobbied the Phoenix City Council for passage of a public accommodations law, and nearly a year later Arizona passed a statewide civil rights law, both similar in nature to the federal Civil Rights Act of 1964. 1964 also saw Martin Luther King, Jr. give a speech at the Arizona State University at Ragsdale's invitation, after which the Ragsdales hosted him in their home. As a pilot, Ragsdale served on the Phoenix Municipal Aeronautics Advisory Board in the 1970s. Ragsdale later became involved in the intense fight to create a statewide Martin Luther King, Jr. Day in Arizona, which finally passed after a voter-approved ballot measure in 1992. 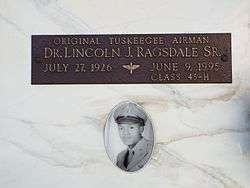 Ragsdale died on June 9, 1995 of colon cancer in his Paradise Valley, Arizona, home. His crypt is located in the Serenity Mausoleum of Phoenix's Greenwood/Memory Lawn Mortuary & Cemetery. ↑ "The Links, Incorporated". The Links, Incorporated. Retrieved 27 March 2012. Finn, Elizabeth (July 1998). "The Struggle for Civil Rights in Arizona". Arizona Attorney. State Bar of Arizona. 34 (24): 24–28. ISSN 1040-4090.